Super Star Blogging is the go-to travel influencer program created by #1 travel blogger Nomadic Mat. 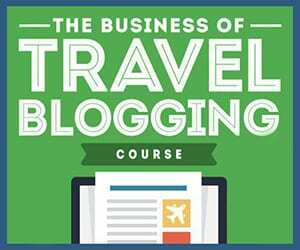 I am enrolled in the Business of Travel Blogging Course, which has taught me literally everything I practice on this blog today. The Facebook community is a valuable source of inspiration, information, and support. The other courses–writing, photography, and vlogging–are on my wish-list! If you’re serious about becoming a travel influencer in one of these fields, this is the course for you. Buy it here. Macbook Air is my go-to computer for studying and working. After trading out broken computers from other brands every year, I splurged in 2015 to purchase the 13″ Mac I still use today. It’s lightweight and has a long-lasting battery, making it easy to travel with. Buy it here. SiteGround is my web hosting provider and domain name provider, aka the folks who store my website and do the background security stuff. This is different from WordPress, which is the platform I use to actually write and publish posts. You can learn more about the difference in my favorite blogging course, Superstar Blogging. Sign up for SiteGround here. 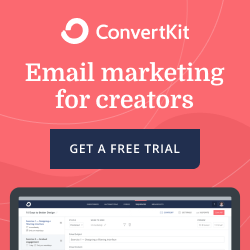 ConvertKit is my email marketing provider. While there are free platforms, ConvertKit is incomparable for its offerings to small business owners and creators. It’s easy-to-use, offers more powerful tools than other providers, and is a reasonable price. Sign up here. Loomly is my social media calendar, which helps me stay organized on the several channels I’m active on. I chose Loomly because it’s one service and one fee for Facebook, Instagram, Twitter, Pinterest, and LinkedIn. I haven’t found any other provider for all five channels. Sign up for the free trial here. 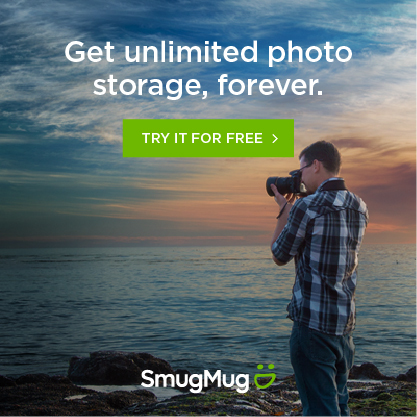 Smug Mug is a photo-organization tool for professionals. It allows photographers to sell photos directly from the site. Personally, I use prefer Smug Mug for the versatility in organization tools. Professionally, I love that you can upload photos to websites via url links, which saves storage space on your server. Sign up here.